Work in the business center. Live in the city center. 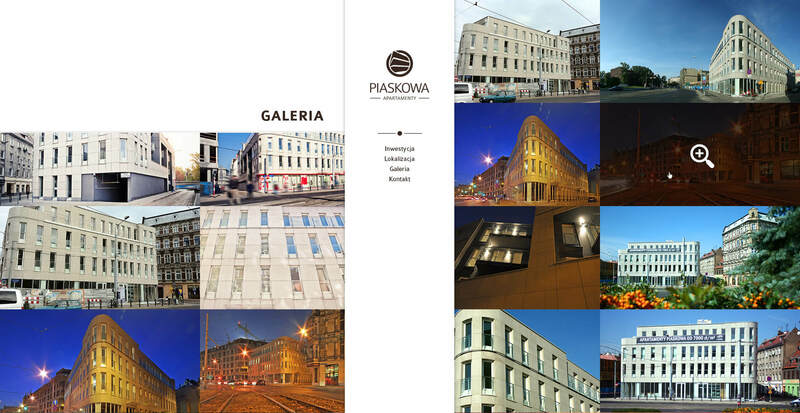 The Piaskowa Apartments is a luxurious building, built in the centre of the bustling Wrocław agglomeration, right next to the magical old town. 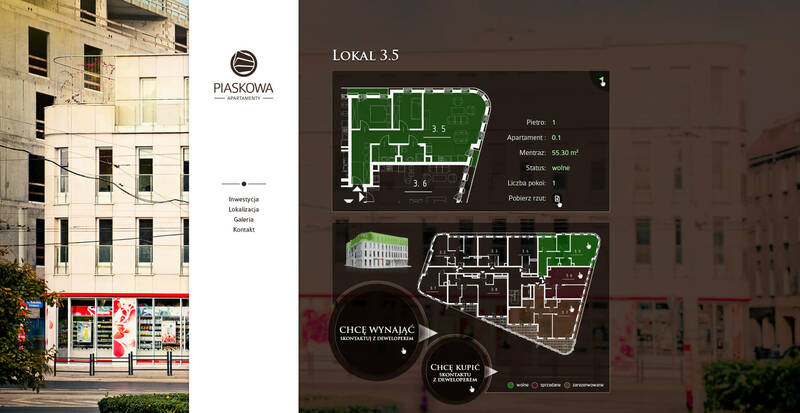 The developer of Azysa Polska approached us with the need to promote commercial premises and residential investments. 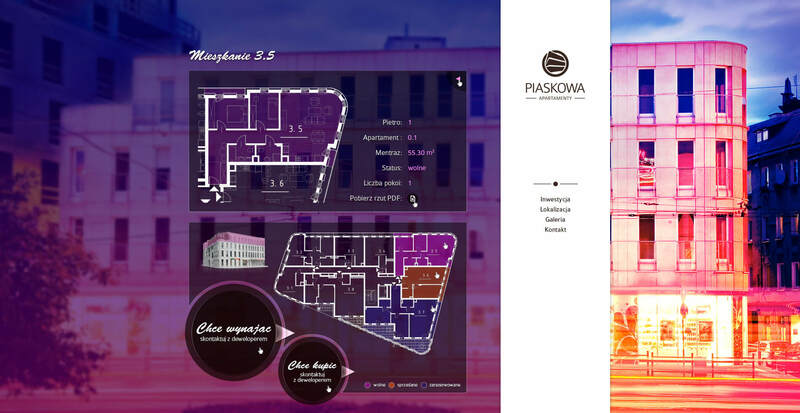 My task was to create a functional design and a graphic design of the website for Apartments.tments. We created a modern and intuitive internet service as a result. Its main goal was to reach two separate groups of recipients: a business client and an individual customer. The identification of the most important needs and goals of both groups allowed us to select proper functional and visual solutions for which one building became the common denominator. 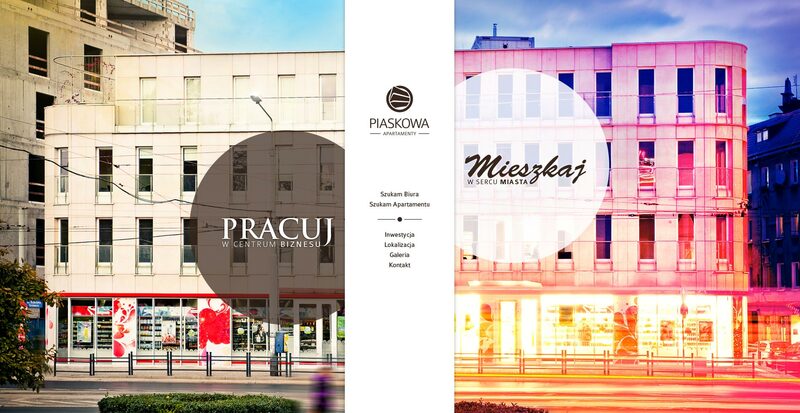 We based the information architecture on two-way communication. The left side of the website redirects the business client to information about the service and office premises. 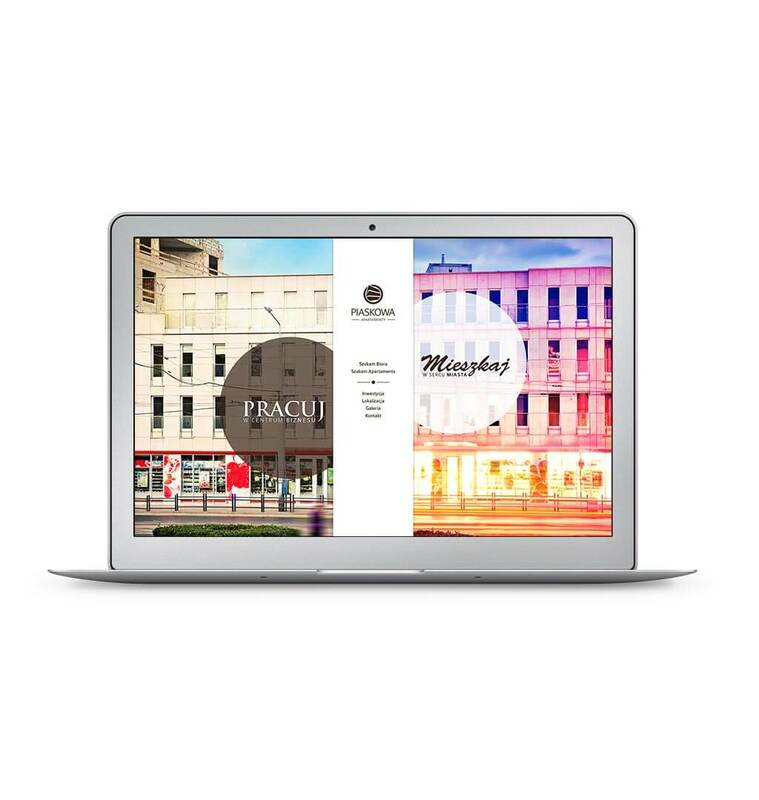 The right side of the website was responsible for communication to an individual customer — a resident who values life in the heart of the city. The central navigation element links symbolically both groups into one common denominator, the investment. The projects were created in cooperation with the mohi.to team.